A brand new set of Skywatcher internal gears for the HEQ5 Pro mount. 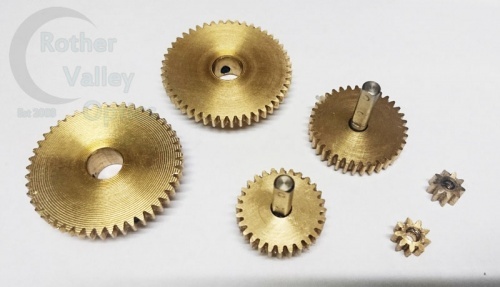 The kit consists of 2 pinions gears, 2 drive gears and 2 crown gears. Ideal as a refurb for older mounts or replacing damaged gears.